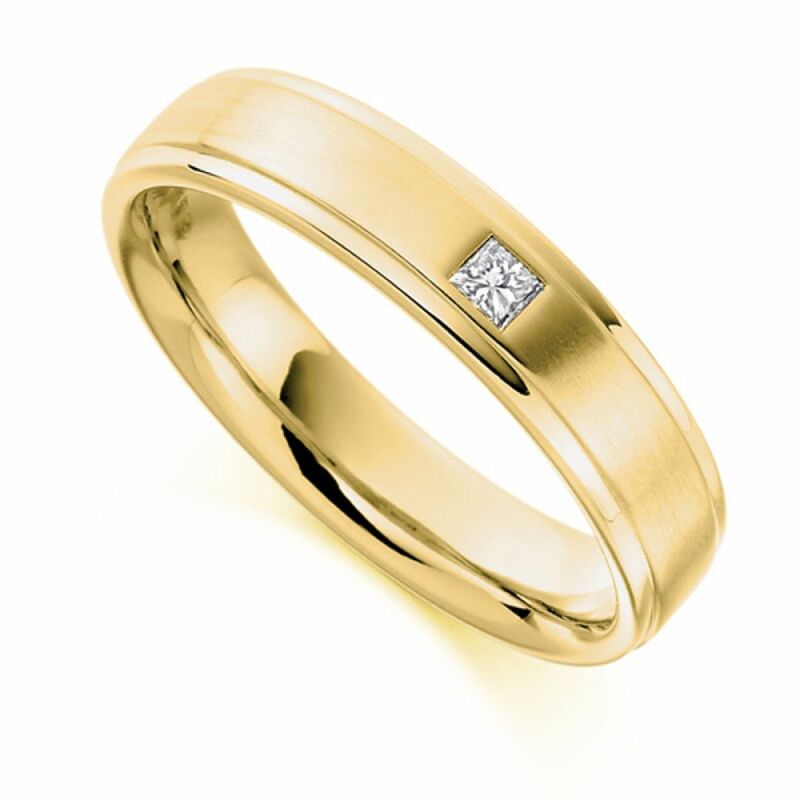 5mm men's diamond wedding ring, set with 0.07cts flush set princess cut diamond, between machined detail with combined satin and mirror finish. This three-section men's Diamond Wedding Ring features a solitaire 0.07ct Princess cut Diamond, flush set into the 5mm band. The central Diamond within this design has been graded F Colour, giving it an ice-white shine, and VS1 Clarity, providing an eye-clean appearance. The court profile band itself boasts a three section detailing, in which the central panel has a satin matt finish, contrasting with the clean lines of the Diamond. Choose the precious metal you desire for your ring from 18ct Yellow Gold, 18ct Rose Gold, 18ct White Gold, Palladium and Platinum, and we can create your perfect ring for you in approximately 3-4 weeks. Your ring will then be delivered straight to your door by a secure courier, presented in our own Serendipity Diamonds packaging.